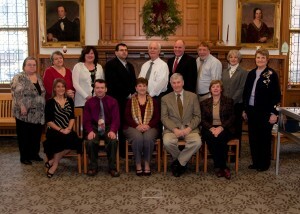 Wilkes-Barre, PA – The Luzerne County Library System (LCLS) is pleased to introduce its 2012 Board of Directors. Founded in 1984, the LCLS is made up of ten libraries throughout Luzerne County that work cooperatively to provide the citizens of the county with recreational and educational materials and programs. Attached photo- First Row, L to R: Melissa Szafran, Hoyt Library; John Roberts, Wyoming Free Library; Viola Gommer, Back Mountain Memorial Library; Robert Robine, Plymouth Library; and Christine McLaughlin, Hoyt Library. 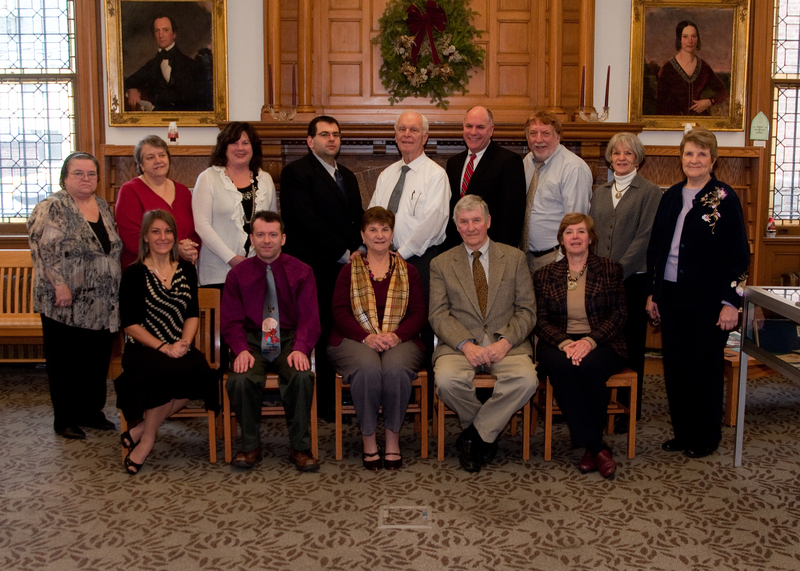 Second Row: Margaret Harris, Osterhout Free Library; Anne Hogya, Pittston Memorial Library; Suzanne Youngblood, Plymouth Library; Richard Miller, Osterhout Free Library; Mike Ostrowski, Pittston Memorial Library; Jeffrey Gicking, Hazleton Area Library; Jim Reinmiller, Hazleton Area Library; Dr. Marcia McGann, Marian Kirby Library; Shawn Murphy, Osterhout Free Library. This entry was posted on Tuesday, January 31st, 2012 at 1:27 pm	and is filed under Uncategorized. You can follow any responses to this entry through the RSS 2.0 feed. You can leave a response, or trackback from your own site.